MI Illumination goes just where it’s needed. 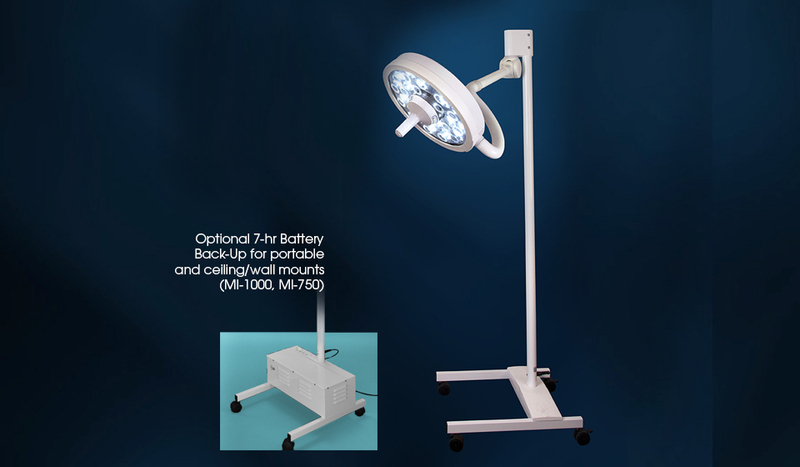 The MI Series gives you total flexibility in how you design the lighting in your OR, ER, ICU, clinic or office. The MI-1000, MI-750 and MI-500 can be mounted to our rolling floor mount systems for easy transport from location to location. Also available is a portable battery backup system (for MI-1000 and MI-750) that can be integrated into the floor mount system. If you have questions or need additional information, please consult your authorized Medical Illumination dealer or use our online contact form to reach us directly.